For this Client we built a CMS website. 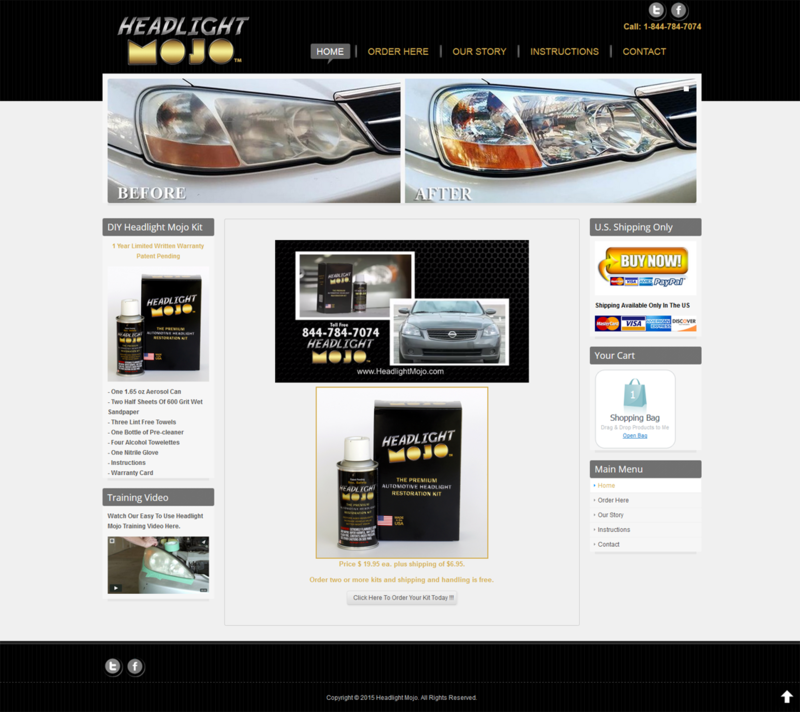 Tatem Web Design customized the Design Template to fit the company branding of Headlight. We set up the hosting and host the website on our servers. We set up email for this client. We set up the social media component for users to connect to. We built a user friendly store for purchasing the product online, including shipping and merchant account setup. We designed the layout and installed a video player for the videos page and added the product scrollers on the homepage. Tatem Web Design - We did a full CMS web site using Joomla 3.5.3 for this client's website, email , full ecommerce solution, interactive forms. Provided client with training, we currently provide support, we manage the web hosting, email, website stats.